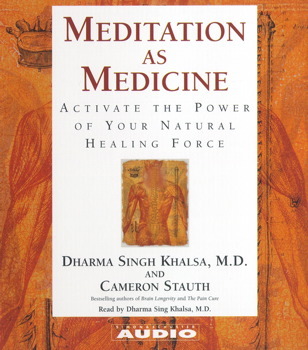 Meditation As Medicine is a very effective book on Health & Wellness Yoga, written by Dharma Singh Khalsa. The practice of Medical Meditation revolutionizes the healing process is proven effective by the scientific research.Each Medical Meditation here has a specific physiological effect, targeting afflictions from arthritis to ulcers to cancer. In this book Dr. Khalsa details the five unique attributes that endow this type of meditation with far more power than standard meditation. Practice of meditations in conjunction with conventional or alternative medical treatments activates the healing force within you.